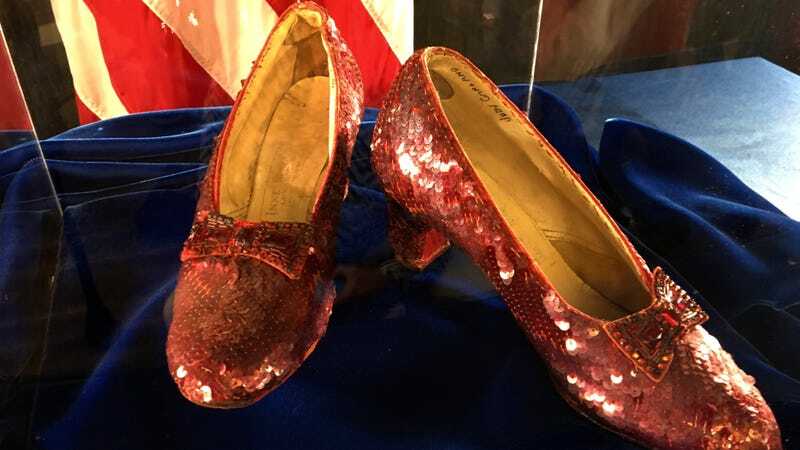 If you are curious for more details on the crime story of the century—at least for Old Hollywood/museum enthusiasts, anyway—The Ruby Slippers of Oz: Thirty Years Later, a classic text about the shoes, will be rereleased with information about the FBI’s recovery of the stolen memorabilia. But when does the investigative podcast drop? The true-crime content I crave! The Stolen Ruby Slippers Have Been Found!